In 2010, Americans spent an impressive $33.3 billion on cosmetic & beauty products, up nearly 6% from the prior year (and continues rising past 2010). (1) A huge percentage of that value comes from creams and lotions that both men and women use on a daily basis. Companies trying to break into this multi-billion dollar, cutthroat market must therefore produce a cream/lotion that is more effective than that of competitors. 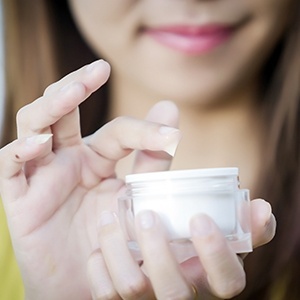 High pressure homogenization is a preferred method of production for a variety of reasons; keep reading to better understand how this technique can improve your cosmetic cream or lotion. High pressure homogenization works by forcing a sample through a narrow space while imparting high pressure and multiple mechanical forces (e.g. turbulence, cavitation, shear). Because most other methods only impart a single mechanical force, high pressure homogenization is desirable for its ability to more effectively decrease particle size. 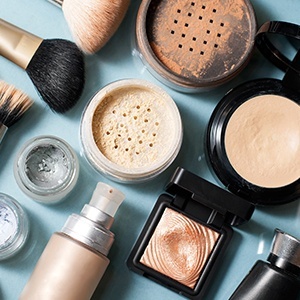 Micronization is a desirable outcome for not just creams and lotions, but all cosmetic products, because of its significant effect on product quality. For example, it creates a more homogenous mixture, provides better active ingredient dispersion, and stabilizes the product emulsions (as described below). For the skin to be able to absorb them, beauty creams and moisturizing lotions must have both the right texture and consistency. High pressure homogenization is recognized for its ability to create a uniformly mixed product, leading to smoother texture and better consistency than other mixing methods. Micronization ties in here, in that better droplet reduction contributes to product uniformity. Semi-solid products like lotions and creams are comprised of emulsions, or mixtures of two immiscible liquids. Droplet micronization (as indicated above) can eliminate separation of the water phase, allowing for a more permanent mixture of oil and water. This can both extend the product’s shelf life and improve physical appearance by ensuring consistency in coloring. On the quest for a cosmetic homogenizer, it is important to select a high-quality model. Whether your product of interest is a cream, lotion, makeup, or personal care item, a high pressure homogenizer that is both highly capable and customizable will enhance its effectiveness. Start your search with BEE International, globally renowned for our laboratory homogenizers. In the lifetime of an American woman, she should expect to spend $15,000 on makeup alone. (1) Of the products that comprise the cosmetic industry, this value doesn’t even take into account the creams, lotions, perfumes, hair color, deodorants, baby products, and many more. The women (and men) who contribute represent a huge customer base, so it is important that a manufacturer offers a high quality product that can entice the shopper over its competitor. Entwined closely with a product’s success over others is its quality of synthesis. Here we focus on the uses for homogenizers, as they can aid most manufacturers in their agenda to significantly enhance product quality. Found in numerous cosmetic products (e.g. creams and lotions), an emulsion is a dispersion comprised of two immiscible liquids. Key to a stable emulsion are the type of emulsifier used and a powerful mixing process. Emulsifiers are comprised of both a hydrophilic and lipophilic part; their function is to stabilize two liquids into one continuous phase. The Hydrophobic-Lipophilic Balance (HLB) system allows a user to calculate the optimal emulsifier for a product. (2) Once paired with an appropriate emulsifier, the dispersion can be homogenized. This process uses high shear, mechanical forces, and high pressure to create the finely dispersed droplets required of a stable emulsion. On the quest for a cosmetic homogenizer, it is important to select a high-quality product. Start your search with BEE International, globally renowned for their laboratory homogenizers. We deliver an array of key benefits, such as production of nano/micro emulsions and dispersions and lipids and suspensions; these can be used for applications such as pharmaceutical drugs and drug development, beverages, chemical compounds, and importantly, cosmetics.